Gucci Mane joins Fifth Harmony in "Down"
Amazing how time just flew by. It was about a year ago Gucci Mane was locked up behind bars. 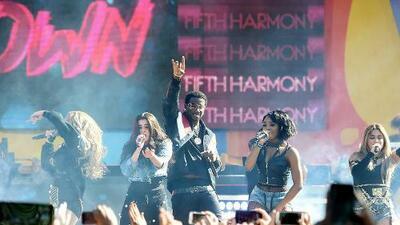 Guwop made an appearance with the all female group Fifth Harmony on Good Morning America. Together they performed their new song "Down" that was barely released. This is Fifth Harmony's first track to be released since Camila Cabello left the group and went to perform solo. The track sounds like it's fit for summer and the Trap God.